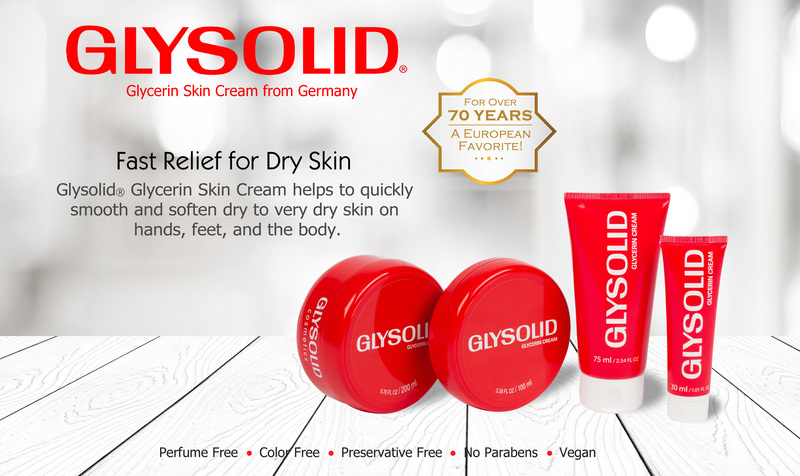 Glysolid Skin Cream: Fast Relief for Dry Skin! 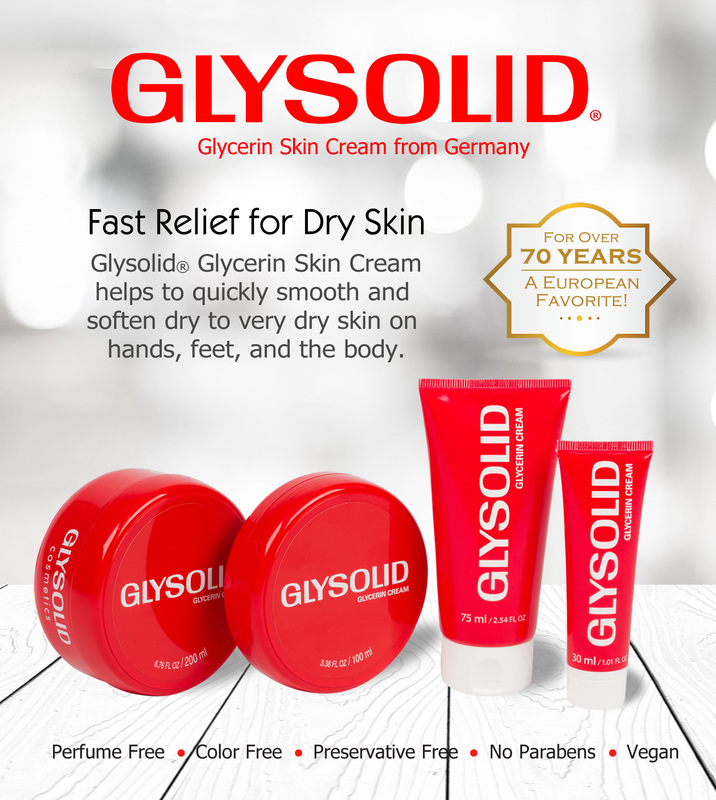 Glysolid Skin Cream has been a European favorite for over 70 years! Made in Germany, thick and silky Glysolid smooths and softens dry skin on the hands, feet, and body. Not familiar with glycerin cream? Clinical trials show that glycerin creams not only perform better than other creams and lotions, but they actually can improve your skin. If you're suffering with dry skin or other skin issues and need quick relief, here are some great treatments to try that will help your skin look and feel better quickly.